On Sunday, 8 June 2014 Kosovo went to the polls to elect a new government. Good news: the Serbian community has participated in a much higher number, and the elections were praised as relatively free and fair by local and international observers. Two days on, results are in and speculations on the formation of a new government can start. Kosovo electoral law makes it virtually impossible for a party to rule on their own – a coalition is needed. Who will team up? Our experts discuss. Sunday elections marked two important steps for democratic consolidation of Kosovo. Firstly, the state institutions as well as the whole society was mobilised to guarantee free and fair election. Unlike the 2010 parliamentary elections, when we witnessed an industrial scale fraud, the June 8 elections met the highest international standards, making it one of the best election organised in the region. From the Central Election Commission, police, state prosecutors, to political parties, media and civil society observers, the whole society was mobilised to make sure every incident would be reported and analysed. Even verbal tensions between voters were televised. Secondly, they were the first election with a solid participation of Kosovo Serbs living in the north of the country, who traditionally boycotted Kosovo institutions. Thus, Sunday elections mark an important turn when it comes to representation of the Serbs in the institutions, boosting in this way the legitimacy of the parliament. 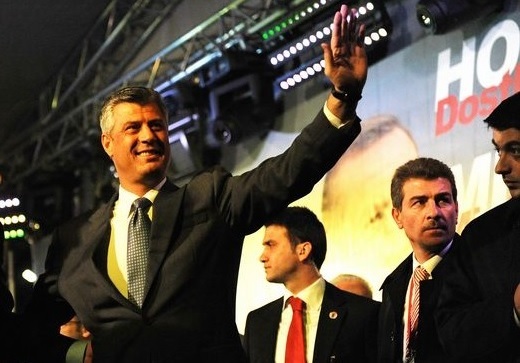 Early result show that the Democratic Party of Kosovo (PDK) of Prime Minister Hashim Thaci won the elections with more than 30% of the votes. The Democratic League of Kosovo (LDK) received 26% while Vetevendosje (Self-determination) movement, which was considered a more radical party until this election, ended up third with 13.5%. Mr Thaci will most likely receive his third mandate as a prime minister, after having promised increase of public wages and creation of hundreds of thousands of jobs. Thaci’s victory comes at the time when the dissatisfaction of the people with the government has reached its ceiling and mainly owing to a weak and uncoordinated opposition. Both LDK and Vetevendosje ran a campaign focusing their criticism towards each, which left Mr Thaci more room to manoeuvre. Even the smaller Alliance for Future of Kosovo of former Prime Minister Ramush Haradinaj, which resulted with 9.5% of the vote, criticised both the government and the opposition during their campaign. Mr Thaci reached a pre-election coalition with four micro-parties, including the pro-Islamic Justice Party and the pro-Catholic Christian Democrats, managing in this way to cover up for the damaged reputation as well as the split of two important figures, Fatmir Limaj and Jakup Krasniqi, from his party. Limaj, former minister and Krasniqi former Speaker of the Parliament, established a new political initiative (Nisma) which made it to the parliament, having passed the 5% threshold. This threshold was not passed by the New Kosova Alliance of former deputy prime minister Behgjet Pacolli. The Kosovo political system makes it virtually impossible for a party to form a government on its own due to 20 reserved seats for representatives of ethnic minorities. As the new government will need at least 61 votes from the 120-seat parliament, a very likely coalition formula will be between PDK, AAK and Nisma, including the representatives of the minorities, which are always part of the government. The incumbent prime minister tweeted his party’s victory at 11.22 pm on Sunday night, when just 43.6% of ballots cast had been counted, 29.92% of which had been cast in favour of PDK. Today, two days after Kosovo went to the polls, the counting of party votes is near complete. The ballot paper is split in two in Kosovo. The first half, from which the above percentages have been arrived at, allows the voter to choose a preferred party; the second half, counting of which should finish sometime next week, allows them to nominate up to five preferred candidates. PDK have come out on top with 214,533 votes. However, this accounts for just 30.71% of the 699,314 valid ballots cast. In order to form a government the party that has ruled Kosovo for the last seven years will need to form a coalition with its runners up. With 25.75%, long term opposition party LDK took the second largest share of the vote. There are mixed reports as to whether or not LDK is willing to enter into an alliance with its traditional adversary. Given the willingness to bend their centre-right ideology in order to win and retain votes, it would not be unthinkable that they would bend all the way into bed with their main adversary in order to secure a place in government. Leader of activist-movement-turned-political-party Vetevendosje (VV) Albin Kurti spoke publicly before the elections to say that his party would consider a coalition with anyone except PDK if VV managed to win the largest number of votes. In the end they took third place with 13.51% of the vote. Now Kurti and his compatriots are proposing a cross-party boycott of any government formed by PDK. It may seem like bad sportsmanship to do so. Afterall, by the account of international observers these elections were fair and transparent, the prosecutor’s office reported just a handful of arrests for election irregularities. Democratic elections have given PDK the largest share of the vote. But, in spite of PDK’s talk of “the will of the people”, when just 41.54% of all eligible voters casting their ballot last Sunday, a government led by a party elected by just 12% of the electorate seems far from democratic. At the moment, everything is up for grabs and, with the candidate votes yet to be counted, the shape of the assembly is far from certain. PDK have said they won’t begin formal coalition negotiations until the second half of the ballot has been tallied. That said, they have publicly sent two messages to all parties. Firstly, that they will form a government with a coalition of whoever is willing to join them; secondly, that everything is on the table in this coalition, except the post of prime minister, that is reserved, they say, for Hashim Thaci. No one knows what the government of this country will look like for the next four years, what seems very certain though, is that whoever forms it will be greatly lacking in spine. Prime Minister Hashim Thaci has already called these elections historic but the jury will remain out on this judgement unless they usher in real change. His party, the PDK, has won the largest share of the vote and not much more narrowly than in 2010. Thaci has been at the top of Kosovo’s political leadership for the last 15 years and prime minister since 2008. It is difficult to say to what extent this is a vote of confidence in his policy and style although it represents some level of acceptance. This is despite corruption, poverty and abuse of power having been the main election issues. His win, however, will be seen as support for his involvement in the normalization process with Serbia. The PDK came in only one percentage point lower than in 2010 and that was despite the split caused by Thaci’s former close KLA colleagues, Fatmir Limaj and Jakub Krasniqi. Their newly-founded party, Nisma per Kosoven, has probably gained 5% and hence crossed the threshold. It was anticipated that the more-nationalistic and effectively active Vetevendosje would do better this time but they have increased their vote by a mere one percent. The other echo these parliamentary elections have had of previous ones was the calls for a boycott in the north and the awaiting instructions from Belgrade as to whether the Serbian electorate should vote. Ever since the first elections in post-conflict Kosovo those issues have always been present. It was only five days before Sunday’s poll that Serbian Prime Minister Aleksandar Vucic told his fellow nationals that not voting “ … would not be very smart”. This throws up questions about people’s civic readiness to make decisions for themselves. The turnout in the north has, according to official figures, been higher than in the 2013 municipal elections but these figures are being questioned. They would have included a large number of out of country voters. The ‘Srpska’ List, representing Kosovo Serbs, polled about four percent of the vote. The elections were supposed to mark a new stage in community integration but that was probably an over-optimistic expectation. Voting is entirely on ethnic lines. No boycott calls and no waiting for instructions from Belgrade would have made the elections more historic. After 15 years in politics and six years in power, Prime Minister Thaci remains strong and popular. No opposition candidate could challenge him. Thaci’s PDK won Sunday elections, thus securing a third term. The largest opposition party, Isa Mustafa’s LDK, lost three elections in a row and failed to promote change. If LDK fails to reform, Vetevendosje (VV), which is currently growing, may take the leading opposition role. AAK of Ramush Haradinaj failed to make up for the devastating loss the party suffered during the last November local elections. The elections took place in a much improved democratic environment compared to 2010 and the administration of the process and the tabulation of results has been efficient. Incidents were addressed timely and parties are likely to accept the results. And yet, there are some serious issues remaining: the voters’ lists, the electoral law and the administration of the elections being the most pressing. Once again, the difference between ballot papers and voters’ signatures is around 20,000, and the Central Electoral Committee will have to investigate how this came to happen. Most important for Kosovo is – what happens next? Thaci got 36 seats out of 120. Until now, his government depended on minority parties, and he is committed not to repeat that. To avoid that, PDK would prefer a coalition with LDK, whose leader Mustafa may not want a coalition with Thaci (but many party members do not share his view). After losing his third elections, Mustafa knows he has few choices: he can either join a Thaci-led government or resign. If LDK refuses to join, Thaci will have to invite Haradinaj’s AAK and the minorities to form a coalition. Be it with LDK or AAK, Thaci will have to share some of the most important seats with its minor partners, who are likely to ask for ministerial posts. Thaci wants to keep the post of prime minister, finance and foreign affairs (the last one is reserved for his closest ally Enver Hoxhaj, whose job is to keep Kosovo in the global agenda). Not much will be left for the new governing partners. 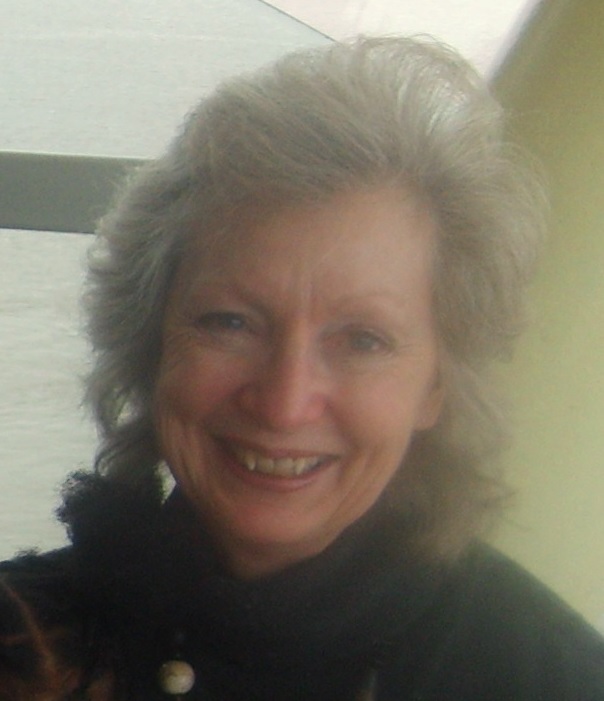 The key issue is to find an agreement on the government’s programme. Thaci wants to establish a fund for economic development and focus on subventions and job-creation. Haradinaj has a similar view, but first wants to focus on improving the rule of law and on fighting against the endemic corruption – something the outgoing government failed to tackle, and which is utterly needed if Kosovo wants to conclude SSA and visa liberalisation agreements. LDK insists on the same issues but feels handicapped by their bad legacy in Prishtina. Coalition partners will easily agree on the overall programme but will likely disagree on where to start from. If they want to facilitate investments and develop the economy, the first battle they need to fight is the one against corruption. This means, however, that they would need to start from their own ranks. This entry was posted in Kosovo and tagged Elections, Hashim Thaci, Jack Davies, Joanna Hanson, Kosovo, Krenar Gashi, Naim Rashiti. Bookmark the permalink.